I stopped at Exit 178- Cambridge and popped into the K-Mart to get a phone cord charger. Saw these Cosmic Hula Hoops and bought 4 for the grandkids as I was on my way. Had a repeat light writing blog in mind as I drove the rest of the way to Columbus. They helped Grandma capture a different kind of light writing in the backyard when it got dark outside. I’d say the first day of retirement was a good one! 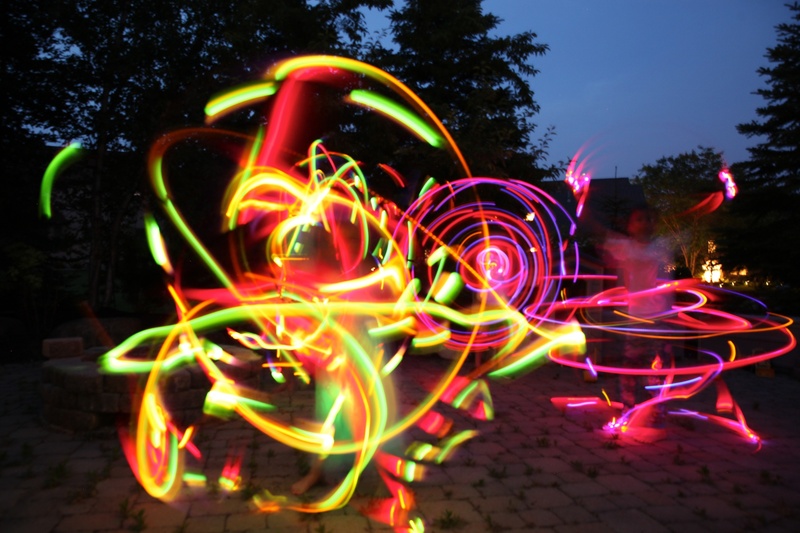 We used lightning sticks before which might have been easier to maneuver but not as bright. Michael and Jack watch Anna and her hula hoop skills. All four at once. They were already in their jammies. We will try another night. Thanks Rainee. I love how they try to help me out for the blog! That is so cool. And aren’t you lucky to have such willing and able assistants. On the menu click hula hoops . This venue was a small portion of the exhibits wee saw on walk we made around the loop . Those are really cool pics! Hula hooping is a lot of fun. 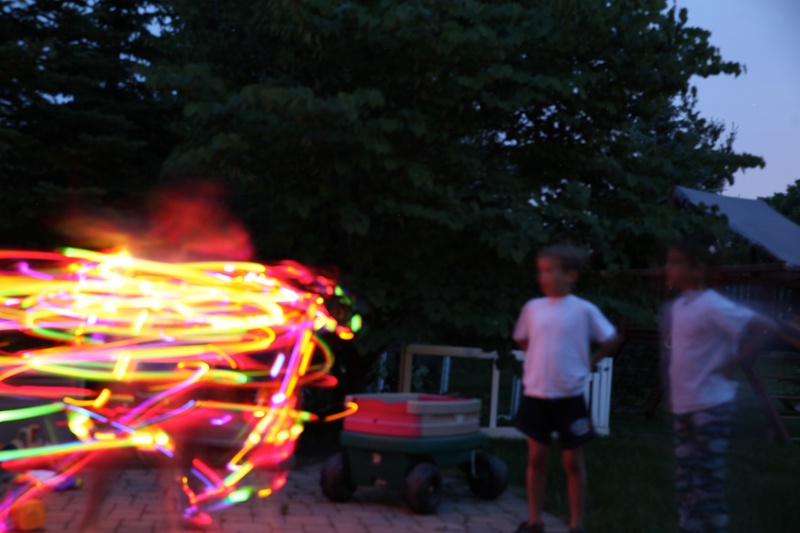 So much fun to see the neon hula hoops in action. You have given your kids and grandkids yet another awesome memory to keep. Do they do them in adult sizes too?